Can Chiropractic help with my Back Pain? 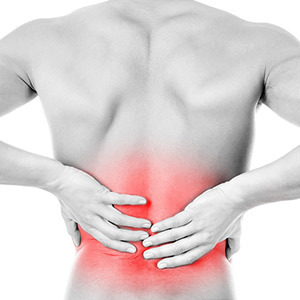 It is estimated that 80% of adults with experience back pain at one point in their lives. Worldwide, low back is the leading cause of disability & one of the main reasons why employees miss work. Pain, acute or chronic, is your body’s way of communicating that something is not right. It is not a symptom to be ignored! Your spine is a intricate structure made up bones, joints & discs (24 to be exact!) These bones & joints have to line up & move in a very specific way for your body to function the way it should; pain free. Ligaments & muscles also connect & support to spine, allowing extremities to move & the body to function freely. At the root level, back pain can be caused by subluxations, or when the mis-alignment of the joint/bones due to a variety of reasons. This causes pressure/pinching of the nerve exiting out, which can decrease the nerve’s function but also cause pain. Sometimes the simplest movements, like bending over to pick something up, can cause back pain! Medication may provide temporary relief of the pain & give you a sense of well-being. However, medication is only treating the symptoms and not addressing the ROOT CAUSE of the back pain. They essentially “mask” the problem, but doesn’t fix it. Medications not only are a “temporary fix” but they also bring a host of side effects, affecting other parts of your body not initially a problem. The root issue is still present and is not a cure. Chiropractic care is the most natural, safest and effective ways in treating low back pain & symptoms associated with it. In fact, surgeons & orthopedics refer patients to chiropractors as the first defense against pain & spinal issues. Chiropractors are concerned with finding & correcting the underlying root cause of your health problems. They provide correction & treatment of the issue, not just management of the symptoms. Many people have used chiropractic care for permanent relief from their back pain. Dr. Senz’s holistic approach to your health digs deep to understand how your pain started & provides a personalized corrective plan to guide you out of pain & to better health. In our office we provide gentle, safe & effective chiropractic adjustments to align the spine & remove the cause of pain. In addition, we utilize corrective rehabilitation exercises, specific to you, to get you better…faster!